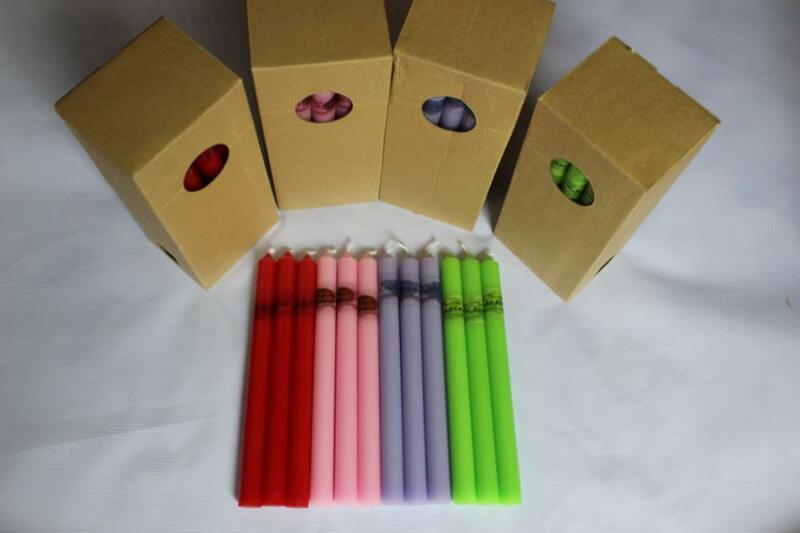 Various kinds of bright candle with the weight from 10gms to 90gms, white & color candle. Company Profile Hebei Gemmy Import and Export Co., Ltd. is an experienced industrial and trading company. We innovated ourselves to participate in the international business competition. The main products in our company are various series of candle, such as Stick Candle, Tealight Candle, Church Candle and different Craft Candle. Every year, some new series of candles will be proposed and our annual output is about USD3,000,000. Our products are exported to many countries in America, Europe, Africa, and Southeast Asia because of our good quality and reliable service. Moreover, long-term cooperation has been built with dozens of customers, and we are treated as their appointed supplier. Quality is our basement, and credit keeps us growing" is always our pursuing.